— Three things have primarily changed how we see Earth in photographs from the International Space Station. The orbiting outpost gained a multi-window Cupola module in 2010 and advancements in digital photography brought better, more capable cameras to orbit. The third was NASA astronaut Don Pettit. 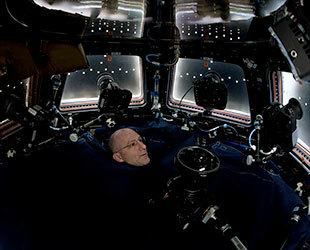 A photography enthusiast since he was a student in grade school, Pettit extended his passion to his perch 250 miles (400 km) above the planet as a flight engineer onboard the space station. "I believe that astronauts, like explorers of the past, have an obligation to share their experiences with everyone on Earth," said Pettit, who logged a total of 370 days in orbit on three missions, including two long-duration stays on the space station in 2002 and 2011. 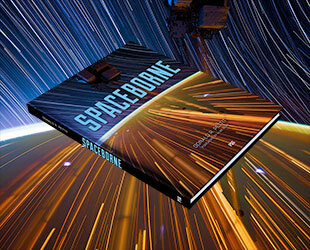 Now, he is sharing his orbital photography in a new book, "Spaceborne," being released by Press Syndication Group (PSG) this month. "Being afforded that rare privilege of viewing Earth from space was not lost on Mr. Pettit," described the publisher on the "Spaceborne" website. "Feeling a strong sense of duty to share what he witnessed, he was inspired to use his talents as a photographer to create an amazing array of worldly and other-worldly images of Earth, the stars, the auroras and everything in between." "Many of the best of those photographs are included in this museum quality, hardcover, coffee table book." The 176-page book, which includes a foreword contributed by Apollo moonwalker and accomplished artist Alan Bean, showcases Pettit's portfolio of infrared images, black and white landscapes and "numerous other bits of visual space intrigue," including his famous star trail images. 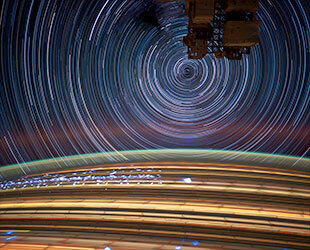 "Star trail pictures are something amateur astronomers do. 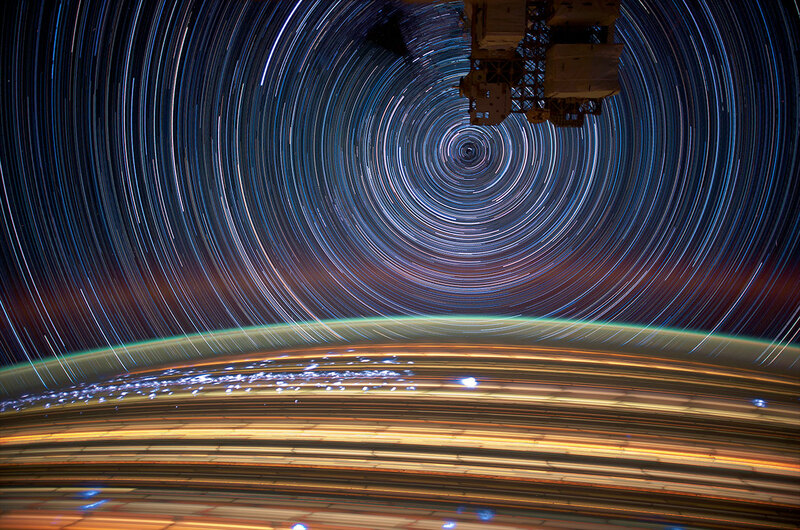 You put a camera on a tripod, you point it up at the sky, you open the shutter and as Earth turns, it makes the stars into streaks," explained Pettit in an interview NASA aired in 2013. "And you can do this on the space station and your orbital motion will make not only the stars streaks, but the cities down below will also be streaking." "I first started doing this during Expedition 6 back in 2002 with film, because the digital cameras back then would not allow a long enough exposure without getting a write error to disk," said Pettit. "But film would allow us to take these star trail pictures. I continued that [on board space shuttle mission] STS-126, and then I really had the time to zero in on it during Expedition 30/31." Pettit also devised a makeshift method of capturing the city lights without streaks. "Pettit used spare parts found throughout the space station to create a barn-door tracker," describes the "Spaceborne" website. 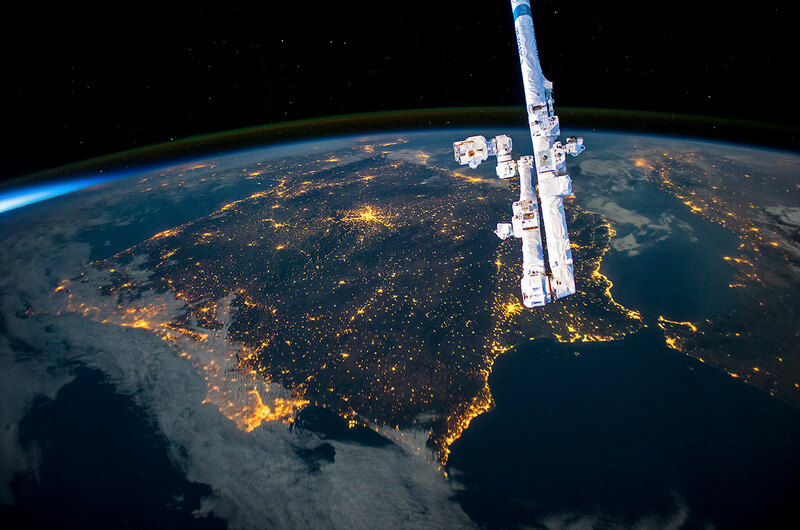 "This was a unique device that compensated for the movement of the International Space Station relative to the Earth's surface allowing for sharper photographs of the city lights at night while orbiting in the space station." 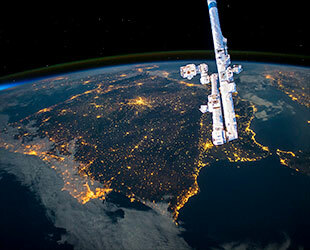 The city lights when viewed from orbit reveal geographical borders, cultural influences and technology choices, Pettit told NASA's interviewer. "Just as example, if you are next to a coastline, you'll see all of these lights and then it gets dark really quick right at the coastline," he said. "Some cultures use mercury vapor lighting and their cities have a blue-green cast. Others use sodium vapor lighting and you can see that in some cities, the older parts of the town are blue-green and the newer boroughs are the yellow-orange." 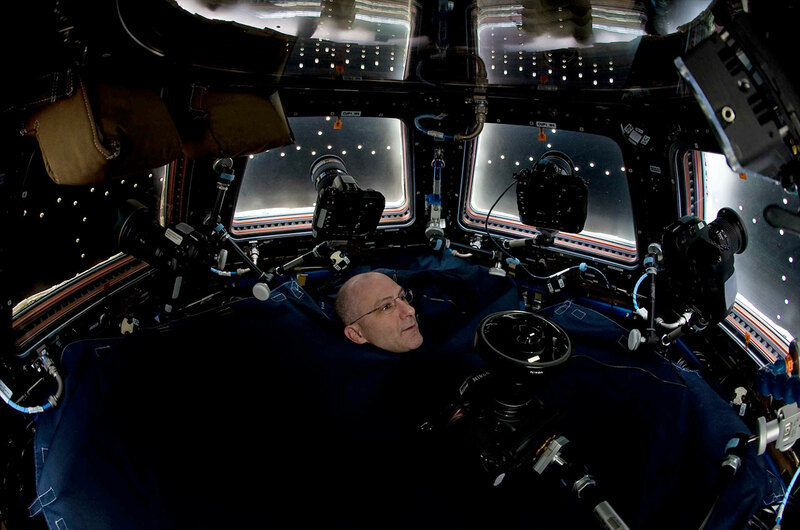 As an active astronaut, Pettit's photos are a part of NASA's archives and are presented online for all to access as part the space agency's Gateway to Astronaut Photography on Earth website. 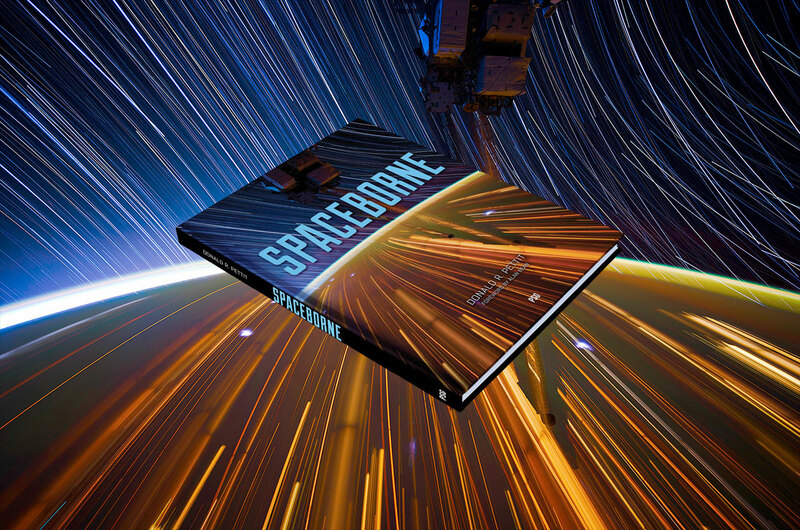 "Spaceborne" showcases a selection of the literally millions of photos that were taken by Pettit and his fellow crewmembers using the techniques he pioneered on the space station. PSG has also produced large prints of a number of Pettit's photos of Earth. "Recording what we see as astronauts from space of Earth is one way of sharing the experience with folks who do not get a chance to go into space," said Pettit. For more details or to order, see PSG's space-borne.com.